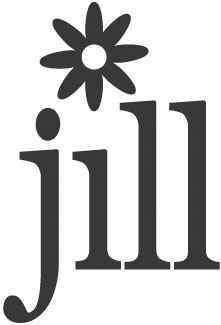 “Thank you card that could easily be a “give thanks” card for Thanksgiving. Patterned Papers are from Jillibean Soup, Ribbon is from Michaels (Michaels branded), and the tag is from Avery. 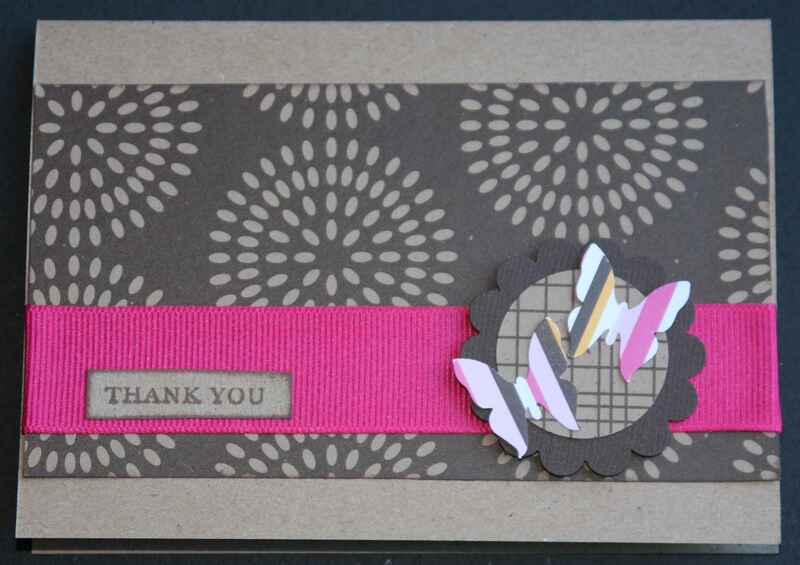 I used a Stampin’ Up stamp for the tiny “Thank You”. The baby safety pin is one of those things that’s been in my stash for years. 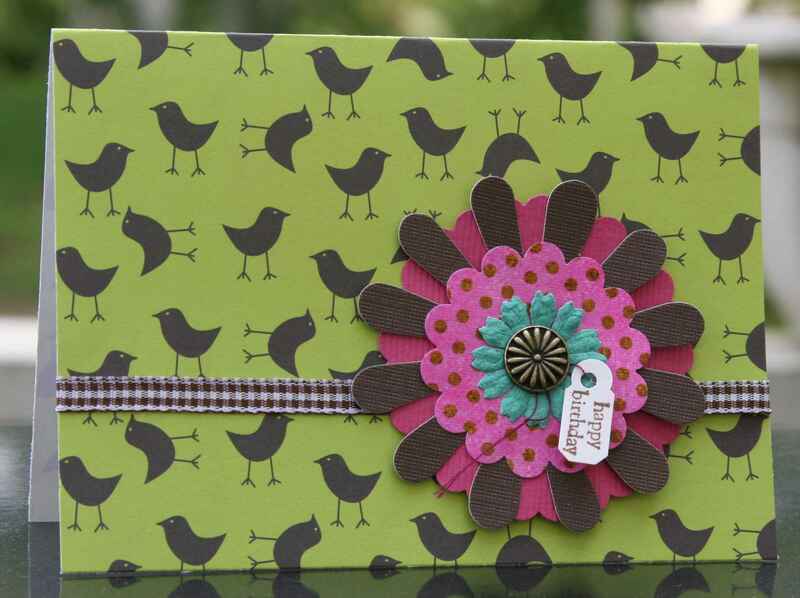 Again, using the cute little Avery tags and Stampin’ Up stamps. Wanted to add some different colors to the green/brown birds. The patterned paper is Jillibean Soup and Bo Bunny, cardstock is from Bazzill, die-cut flower is from DCWV, ribbon is from Michaels, flower is from Prima and the brad is from The Paper Studio. The Avery tag comes with a little looped thread. I wrapped the thread around the brad to hold it in place. One last one with that Martha Stewart Butterfly punch. 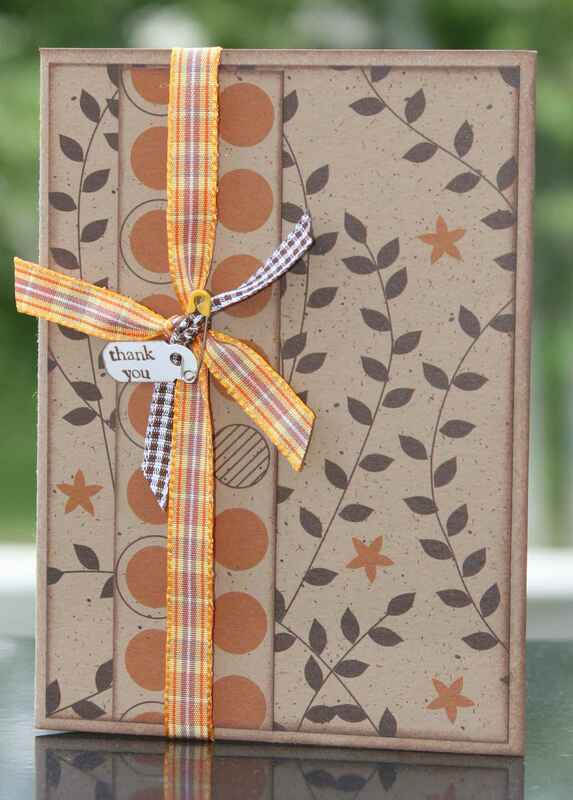 Patterned paper is from Jillibean Soup and American Crafts, ribbon is from Offray. I also used a Stampin’ Up scallop punch and my oldie but goodie Creative Memories circle punch for the inside of the scallop.